Circumscribed in the setting of academia, bound by heteronormative and patriarchal structures, Theory is a novel which writes its own awakening as it interrogates false but rigid dichotomies such as those between aesthetics and politics or the creative and the critical. It insists on the difficult question of what it means to know another, in all their beauty, intelligence and sensuality, despite the doubting, uncompromising momentum of the mind’s reflexivity and questioning. Through honest and unsparing critiques — that are just as relevant now as they are in the world of the novel — coupled with the narrator’s uncompromising vision and dark sense of humour, we are able to negotiate the insular, solipsistic quandary in this novel of ideas. Questioning the limits concerning the knowledge of another’s interior told through a self-aware first-person narrator is indeed a trope of meta-fictional writerly narratives, but the trope itself is a struggle that the novel works through — without pretention. It finds its way out literally: outside the text through the work of others, as seen in the last section titled, “Theory/Teoria,” which relies on italics and footnotes heavily, bringing in the language of theory as the narrator works towards finalizing her thesis. In addition to citing post-colonial writers such as Frantz Fanon, the narrator also cites practicing writers and scholars such as David Chariandy and Christina Sharpe. This revives the staid practice of citation by creating a dialogue with works in the world of the novel that is also a world we inhabit. 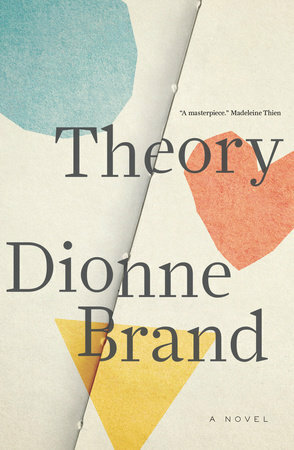 Theory is entirely surprising, not only because an award-winning and prolific writer like Brand has continued to reinvent herself while staying true to an uncompromising vision that gestures towards the potency of the novel in the real world. It is also surprising because of its ability to enchant, simply through its telling of scenes we could often take for granted, such as those inhabited by our lovers, our families and our cities. Though the last chapter offers a challenging tonal shift and may especially resonate with academics and writers, for those who love a challenge, Theory is a novel that will do something: it will guide us to resilience. Shazia Hafiz Ramji’s first book, Port of Being, received the Robert Kroetsch Award for Innovative Poetry (Invisible Publishing, 2018). 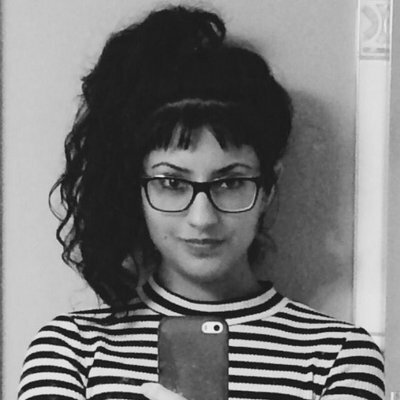 She recently appeared on CBC North by Northwest and will be a writer in residence with Open Book in March 2019. She lives on unceded Coast Salish land (Vancouver) where works as a publishing consultant and editor for various presses across Canada. She is at work on a novel.